I thought about writing this review in the style of a Kurt Wallander novel – in minimalist yet visual prose, with lots of killings – but somehow I thought we’d all end up getting too depressed with the world. It turns out that Sweden have more exports, other than bestselling crime writers, and they’re pretty damned good as well. 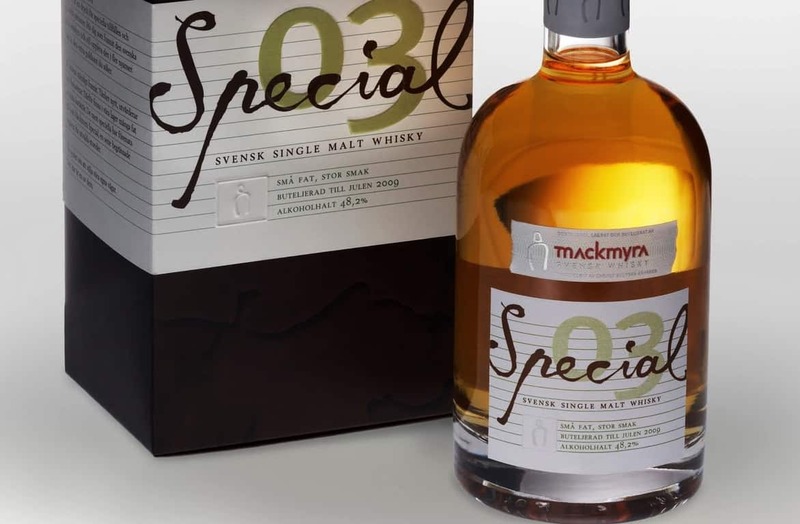 That brings me seamlessly to a review of a Swedish whisky – Mackmyra Whisky: Special 03 / Small Casks. Mackmyra Whisky is a relatively new distillery, having been formed in 1999. They only use Swedish ingredients, so they say, which is admirable – I always seem to like it when world distilleries express their own terroir as effectively as is possible. For me, I like the background of a whisky – its heritage, where it comes from, what the ingredients are, and so on. This whisky is matured very small 30 litre casks – the aim being to speed up the maturation process – and the casks used are ex-bourbon, ex-sherry and new Swedish oak. It’s experimental stuff, to an extent, and I’m all for a good gamble when it comes to whisky – it makes life interesting, no? It’s bottled at 48.2%. Colour: very pale, like a pinot grigio. On the nose: thick waves of barley, and an almost solvent-like note that I’d associate with something much stronger. Settles into a rich malted barley aroma, yeasty, ale-like. Some sweetness starting to show towards the end, and it’s very pleasant indeed. Dried apricots, tinned fruit cocktail. Coastal. In the mouth: all of those nose notes come crashing through into a lovely chewy dram. There’s a good texture here, medium to thick, but not especially smooth. Something earthy going on, which I can’t recall tasting before, but that only makes things more interesting. Mossy. Vegetative. Yet more. There’s something about this that reminds me of the Bruichladdich Islay Barley series, though it’s nowhere near as viscous. There’s a lively youthfulness at play. Bold barley, citrus, zingy sugars. Notes of a very dry white wine on the finish, and with only gentle spices showing. It’s a good whisky, perhaps a little straightforward, but I’m hugely impressed. Expect to pay about £65 a bottle for this. 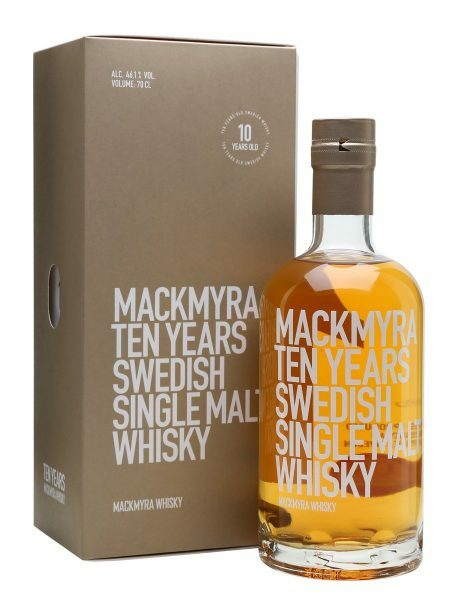 As my first experience of Mackmyra, I can only say I’ll be very keen to try more.